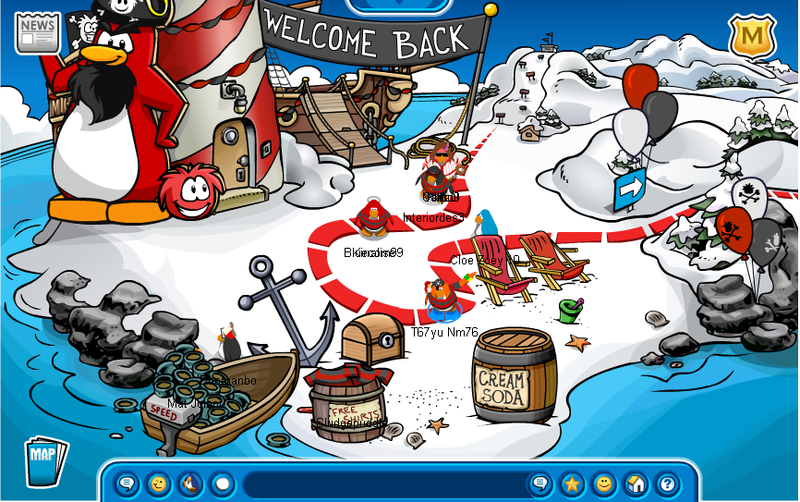 I’ve found Rockhopper again. This time he stayed for a really long time. I’m just after leaving because of boredom. 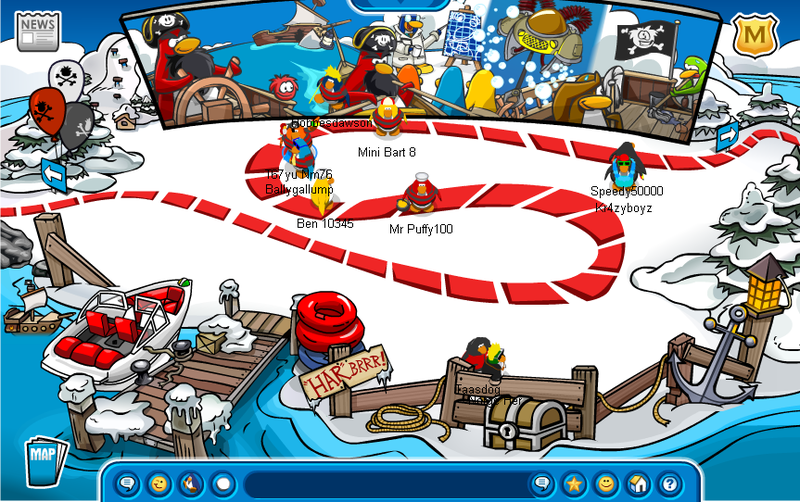 Two hours with a hyper penguin can be a real drag sometimes. Click here to read more about the two hours. It’s not as interesting as it sounds, trust me. 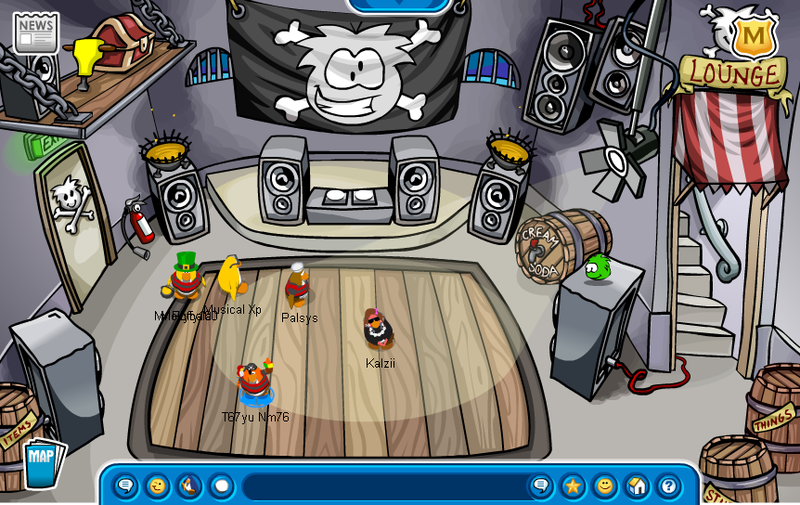 Don’t forget to read the Pirate Party post & the Rockhopper’s Return post below this too. 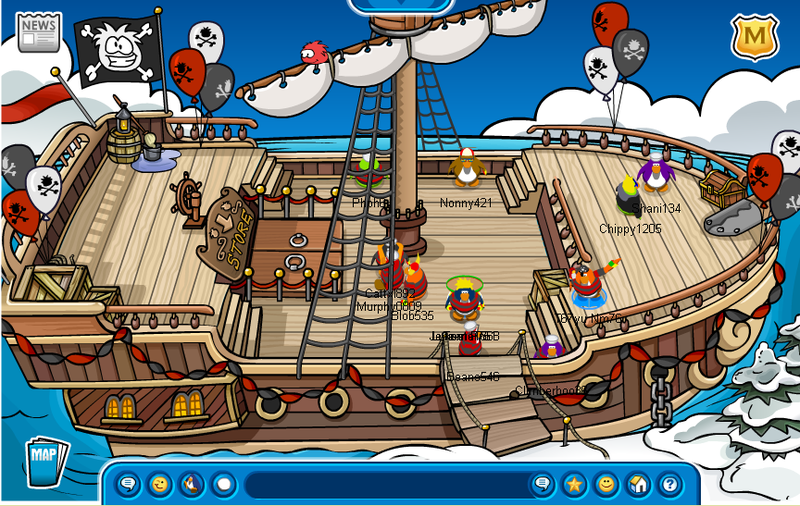 The Sailor Hat is at the Plaza. The pin is a Treasure Chest. 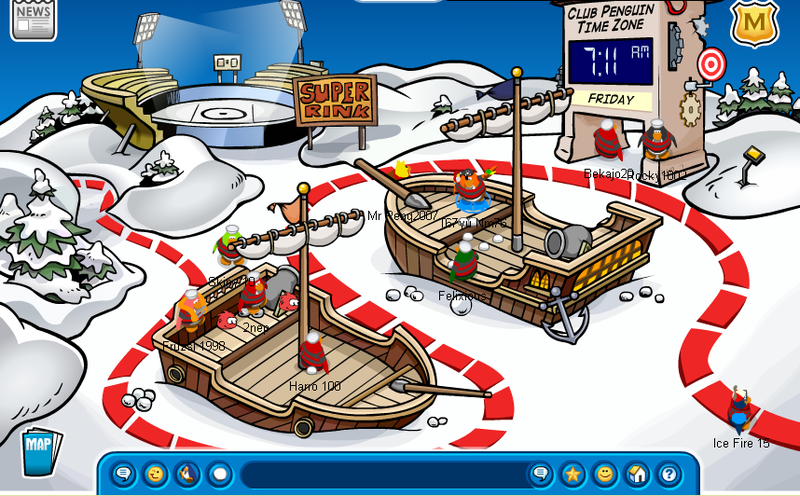 It’s at the Ski Village. Wave your mouse over the red X to dig it up. There’s also a new Sports Catalog. It’s mostly about baseball.